The domestic heating market continues to evolve, but the demand for knowledgeable and skilled heating engineers is one thing that is unlikely to change. 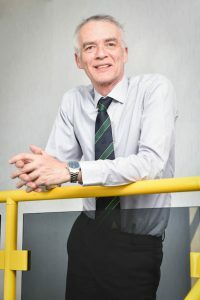 David Knipe, OFTEC Training Manager, argues that continuous development holds the key to future success. The world of work is rapidly changing and you don’t have to look far to find reports on how automation will soon replace many of the jobs we commonly see today. Yet even with major advances in technology, the need for heating and hot water will remain – and so will the important role of heating technicians. A career in the heating sector offers job security, even more so for those technicians who are willing to continue learning so they can evolve along with the changing market and take full advantage of the additional work opportunities this brings. 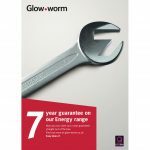 There is certainly no shortage of domestic or commercial heating work out there, but currently there are simply not enough qualified professionals to carry it out. This situation could be further exacerbated if EU migration is restricted under the final Brexit deal and the industry has to rely solely on home grown talent. Skilled tradespeople make a vital contribution to our economy and without their valuable work, productivity will falter. This makes last year’s fall in the number of apprentices entering the heating sector even more concerning. Just 1070 heating, ventilating, air conditioning and refrigeration apprenticeships were started in England during the 2016/17 academic year, accounting for only 0.2% of the total number of apprenticeships taken up across the country. This is despite increased government support introduced in April 2017 in the shape of the Apprenticeship Levy scheme to help businesses of all sizes fund on the job training. Perhaps it is still early days, but as an industry we are facing severe skills shortages and we need to do more to encourage young people to enter the sector. This should start at education level. Traditional trades are still all too often viewed as second rate but equipping school leavers, both male and female, with professional training, skills and qualifications will not only help to bridge the skills gap but, importantly, provide more young people with the key to a secure and rewarding future. Over the last two years, OFTEC has been working closely with both City & Guilds and BPEC to improve the standard of heating and plumbing apprenticeships as part of the Government’s ‘trailblazers’ initiative. The idea behind the scheme is to provide businesses with the opportunity to design training to meet their specific needs. Our role is to ensure that technical competence standards align directly with OFTEC requirements so those students completing the qualification can register directly. The new Level 3 Domestic Plumbing & Heating course will be rolled out from September and we hope this move will encourage more heating businesses to take on an apprentice. Apprenticeships offer an excellent way for businesses to upskill their workforce and expand at low cost. With the Apprenticeship Levy designed to make apprenticeships affordable for all, heating businesses should seriously consider this valuable opportunity. At OFTEC we are currently offering free registration for the first year to newly qualified apprentices in Great Britain, the Republic of Ireland and Northern Ireland who have completed training up to Level 3 and are employed with an OFTEC registered business. Despite the heating sector’s well publicised skills crisis, OFTEC has seen a strong increase in registration numbers, with figures now standing at the highest level since 2013 and rising. Demand for oil registration has been particularly buoyant, undoubtedly boosted by the low oil prices over recent years which have prompted many consumers to stick with, or even switch to oil. We have also seen a growing number of gas technicians adding oil registration to their business to capitalise on the additional work opportunities. As a result, the number of centres offering oil training is increasing all the time. There are now 89 centres operating up and down the country and this figure is expected to hit the mid 90s by the end of the year. Solid fuel training and registrations are also growing at a steady pace and we will be attending the National Association of Chimney Sweeps (NACS) Exhibition on 12-13 April next year to advise the growing number of chimney sweeps who are looking to expand into the heating sector. We also continue to offer registration services for those technicians working in renewable and electrical trades. One question we often get asked is why should I become OFTEC registered when my business is doing very well without it? The answer is trifold. OFTEC registration may not be mandatory like GasSafe but it doesn’t make it any less important. Learning shouldn’t stop the minute a technician becomes qualified. Continually changing – and challenging – sector and business legislation, along with rapidly evolving technology, all demand installers keep up to speed. Our regular newsletters and technical updates help registrants stay one step ahead. Registration also provides protection. Free technical advice is available via our dedicated helpline, and should a customer not be entirely satisfied with an installation or maintenance work, technicians have a full audit trail to fall back on. Consumers are also increasingly aware of the importance of employing qualified tradespeople – and rightly so. 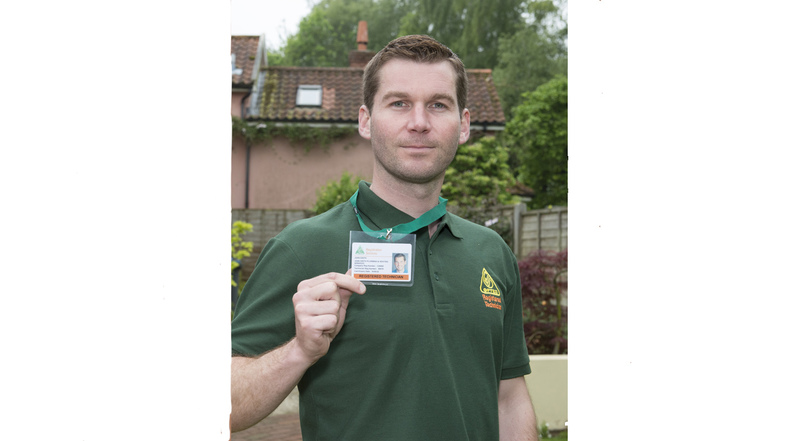 The OFTEC logo is an endorsement of competence, and those technicians who can prove their professional skills and qualifications can reap the rewards. This is reflected in the use of our online ‘find a technician’ search, which has seen a 30% surge in visits over the past year. Registration also brings many other additional benefits such as the ability to self-certify installation work where applicable, access to complimentary marketing materials and discounts on business support services such as website design and fuel cards. As the heating market evolves, we will continue to listen and respond to the needs of our registered technicians to ensure our training and services remain current, relevant and, importantly, add strong business value both now and into the future.